The following is a guest post by Aidan DiPrima, the Writing Vertical Leader at Leverage. Leverage is an outsourcing platform that gives you access to a team who can complete any task or project. What is a process, exactly? Technically speaking, you can boil just about anything down to a process. Here are a few examples of some processes that you might find in your everyday life. Why do I need to document my company’s processes? 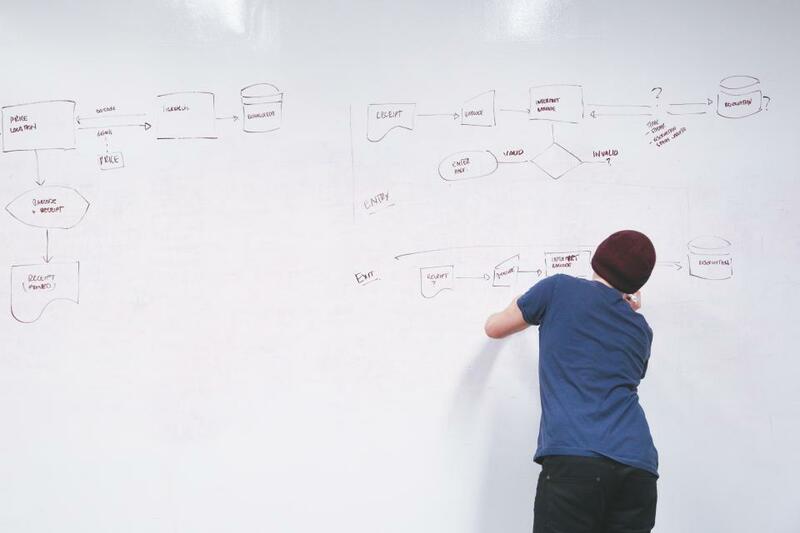 In the context of running a company, processes are the backbone of your day-to-day operations, and it is extremely important to make sure these processes are well documented. The fact that you’re reading this means you either know what I’m talking about or are taking a step in the right direction. Great move on your part! The gist is that having well documented processes can streamline quality control, de-risk your company, and set you up to scale. How does this happen, exactly? Well, there are a few ways. Well documented processes make everyone in your company replaceable. If your Facebook Ads guy has “his own method” for your company’s ads and he decides to leave abruptly… Then his method will leave with him. But if his method is properly documented, someone else can jump in and take his place without a hiccup. It’s a no-brainer if you want to de-risk your company from abrupt departures. Well-documented processes ensure that your employees will be doing everything correctly, every time. It’s all too easy for someone to forget a small step in a large, complicated task, and using a well-documented process can hold them accountable to ensure that each individual step is being completed properly. Not only will things get done correctly, but if they don’t you can clearly see who is at fault and where the problem occurred. Well documented processes can set your company up to scale. If all of your day-to-day operations are documented, you can bring in new hires like it’s your job (because it kind of is?). 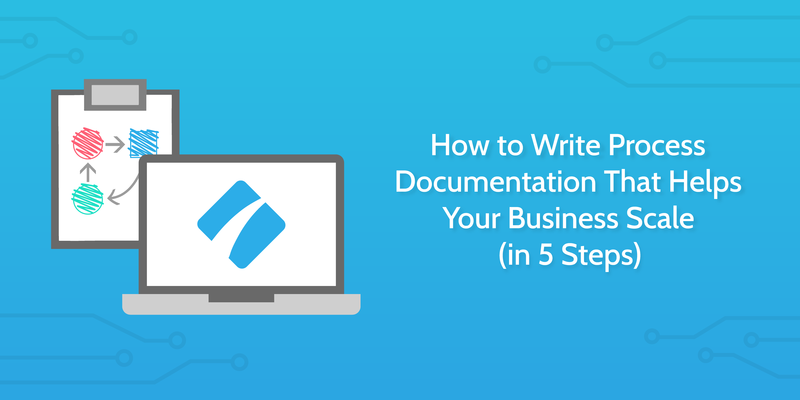 All of this documentation minimizes time spent onboarding and training new employees, and it ensures that everyone is getting the same training across the board. Businesses can blow up overnight—look at a company like Moviepass, who acquired 1 million subscribers in four months. Now, I’m not saying that this will happen to you, but you should be ready in case it does. If your workload or number of clients quadrupled tomorrow, would you be ready for it? Documented processes can help prepare you for the unexpected. You need to have a great process for creating—and documenting—your processes. A process for your processes. Processception, if you will. At our company, Leverage, we’ve been through the ringer when it comes to processes. We started out with little to no documented processes, and the ones we did have in place were haphazardly thrown together by a team of people who weren’t entirely qualified to be making them in the first place. These pseudo-processes caused a lot of problems in our company, and it took us far too long to realize our mistakes and fix them. But through our own trial and error, we’ve come up with a solid process for our processes—both for creating new ones and documenting old ones. We’ve broken it down into five steps that you can use to create perfect processes within your company. This is all, of course, made much easier with the help of Process Street. Before you start documenting a process, you have to make sure it’s logical and that people will actually use it. If this is an old process that you’re finally getting around to documenting, revisit it! You have to question everything. Just because you’ve always given someone an IQ test during the interview process doesn’t mean you should continue to do so moving forward. You could even get technical and send out surveys or get stats on what the best methods are. One best practice here is to limit the initial conversation to experts only—and just a few of them, at that. A lot of our initial problems were a direct result of having inexperienced people create processes. If you can, bring in an expert in whatever area the process falls. As an example, for a long time our weekly meetings had little structure and were largely unproductive. We’d step out of a meeting with more problems than we walked in with, and no solutions to boot. In order to solve this problem, we brought in an expert in leadership, management, and workflow who has extensive experience with leading high level meetings and making them extremely productive. We worked with her to question our entire meeting process and develop a system that worked for us and helped increase our productivity. If we had included our entire team in the creation of this process it would have been—for lack of a better word—a nightmare. We limited this first step to a few executive team members and the expert we brought in. By limiting the initial process to only a few people, you can quickly and efficiently assess the problems you’re facing and start working on a new, solidified process. The next step in creating a solid process is to write it out on paper. If you want to be a bit more advanced, you can use Process Street—it’s up to you. Some people like to work things out on paper or on a whiteboard before they get on the computer. To each their own. There are a few best practices to follow here that you should keep in mind throughout the entire process creation…process. 1) Break down each step into bite-sized pieces. You’ve probably heard this plenty of times—the best way to tackle a large project is to break it into small, achievable goals. Breaking larger tasks into small steps has been shown to help improve focus and decrease distractions. When there is a small step with a clear outcome, you can easily focus on what needs to be accomplished and get it done quickly. The other benefit is that one person can accomplish each step. Why is that important? Well, that brings us to our next best practice. 2) Make sure that one person—and one person only—is assigned to each step of the process. This is absolutely crucial to creating an efficient process that works. Studies have shown that diffusion of responsibility is certainly a real thing—and it’s just as prevalent in business as it is in an emergency situation. In our case, this means that if multiple people are assigned to one step of a process, then nobody is assigned. As soon as there are multiple people involved, everyone thinks that someone else will handle the work and nothing gets done. Not only is this a problem for productivity and efficiency, but no one is ready to take responsibility if something goes wrong. If there was a problem with step 4 in your process and you had 3 people assigned to it, guess what? No one is going to admit they screwed up. Not only is this a major annoyance, but it’s hard to learn from your mistakes when you can’t even pin down who did what. Now that you’ve got the process written out, it’s time to start testing. At this point, the process has only been seen by the small team of creators that have worked on it. You may think this thing is totally bulletproof—or idiot-proof—but you’ve also been hyper-focused on it for some time now. The best way to test it is to have someone else work through the process without any intervention from you or your team. The goal here is to be able to take a random person off the street, sit them down with your outlined process, and have them complete the task properly. Now, if you want to grab someone off the street you are more than welcome—although you may have some odd side effects that I will not be held responsible for. In the past, we have taken someone from an unrelated department or someone who is new to the company. Is the quality up to par? How long did it take? Was this time close to your estimate? If there were multiple people involved, was information handed-off properly? Did anyone have access to sensitive or confidential information that they didn’t need? Were they able to document their progress as they worked? Get their feedback and figure out the answers to those questions and you’ll be well on your way to a perfect process. Once you’ve solidified a process and tested it, it’s time to bring it back for a final review. Take the feedback you’ve gotten from your test run(s) and go over it with your team of creators. Your expert will probably want to weigh in on how the test run went, and you’re most likely going to be making some changes. At this point, you’ll want to get a few more opinions outside of your small team. In our company, this is the point where we will run it by our team of managers—they are the ones that oversee all of the day-to-day operations and will be using these processes daily. It’s important that you create processes that the people in your company will 1) actually use and 2) enjoy using. Well, enjoy as much as they can—it is work after all, but a good process should make their lives easier. Compile all that feedback, make sure you’re sticking with those best practices, and use this as an opportunity to tighten all the screws before you send this thing out. At this point you are ready to send the process out to your team. But before you do so, look into automating as much of your process as you can. For the uninitiated, Process Street integrates with Zapier. This is huge. The possibilities here are virtually endless. One of the best use cases is to have Zapier create checklists from some external trigger—maybe it’s when an email with a certain keyword gets sent to a shared account or when someone on your team submits an HR complaint. At Leverage, we’ve used Process Street and Zapier to fully automate our hiring system, and that’s just one example. The world of automated processes can be pretty overwhelming, but it’s also an incredible time saver. Look at your finished process and check every step to see if automations can help. You’ll also want to assess whether this process should reoccur with some sort of frequency (which is already built into Process Street). Keep in mind, this phase can be somewhat extensive. When it comes to automations, you’ll need to do plenty of testing and tweaking to make sure everything works right every time. Now you’re ready to send out the process to your team! How exciting! In all seriousness, this is probably not the most exciting part of your work week, but it will make your life—and the lives of your employees—much easier in the future. It’s also important to look at all of your processes—even the ones that may seem straightforward. For example, I write op-ed articles for various magazines and online publications, which seems like a pretty simple process. But when you get into the nitty-gritty it’s actually a bit more complicated than it may seem. I make an audio recording with what I want to talk about in the article and send it to our head of writing. He takes the recording and uses it to create a first draft of the article. I edit the first draft and make sure everything is up to par and in line with my vision. I send the first draft to the publication’s editor, who takes a look and offers suggestions. Our head of writing addresses all edits and suggestions, then cleans up the article. I do a final review. Our head of marketing promotes the post on social media. Process Street makes this totally foolproof. When I finish my recording, the writer gets a notification that he can start the draft, I get notified when it’s ready for review, and everything goes from there. If I don’t see a rough draft come in for two weeks, I have a clear record of when I sent the recording and can hold my writer accountable. One thing that could easily get lost is the social media post. It’s easy to forget about sending out that small post, but with a proper checklist it’s guaranteed to be posted as soon as the article goes live. You’ve probably heard that you should be replaceable in your business. That’s not to say you can’t have your own unique input, but the business should keep running if you get hit by a car and wind up in the hospital, or if you decide to take a month off and travel the world. If someone else wanted to write an article, they could just hop on this checklist from the beginning and have an article produced in a few days. The same goes for all of the processes in our company. When you get to the point where everything in your company is documented, you’ll be running like a fine-tuned, unstoppable machine. Following these five simple steps is the best way to start.